The Odyssey minivan has been a solid seller for the Honda brand, and the new fourth-generation model boasts numerous improvements intended to keep a stronghold on sales, which are estimated to hit 100,000 this year. Making incremental changes to the minivan's successful formula, the 2011 Odyssey sits wider, longer and lower than its predecessor. Drag has been reduced by five percent and rolling resistance by eight percent, and body rigidity is 22 percent stiffer. A new bypass damper valve helps the suspension negotiate potholes. Improvements can also be found inside, where the sound insulated cabin is quieter by 1.5 dBA, and touring models now receive an acoustic windshield. 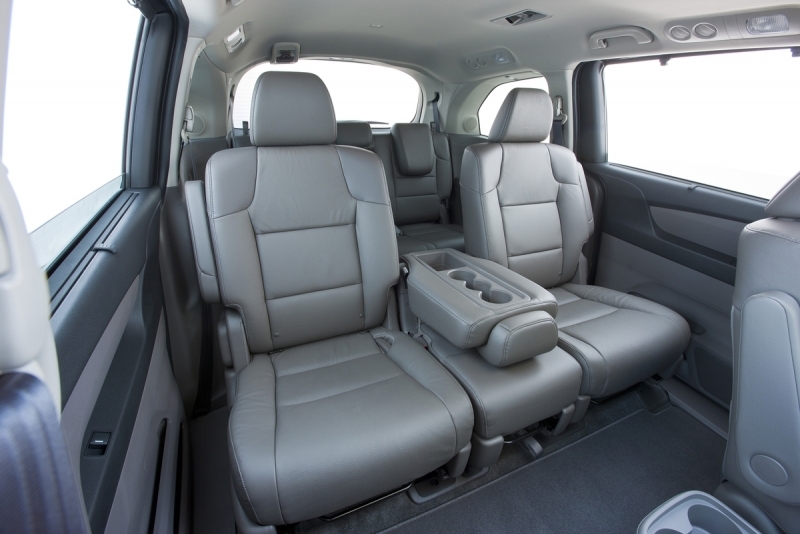 The middle seat is more maneuverable, enabling access to the third row when strapped down with two child seats. Other new features include a multi-view rear camera, a removable front floor console on EX models and above and a blind spot information system on Touring Elite models. 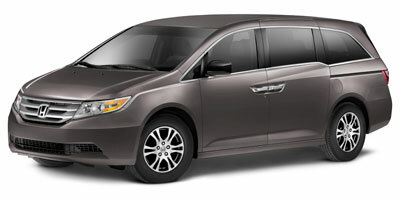 The Honda Odyssey is the Swiss Army knife of the minivan world, with functional seating systems, efficient interior design and a drivetrain that sets the standard for smoothness and refinement. Originally launched in 1995 on the Accord platform, the Odyssey's continual improvements have made it a force to be reckoned with in the minivan world. Despite its ergonomic and functional success, the Odyssey's efficiency doesn't help its somewhat bland aesthetics or ho-hum driving dynamics. Though its so-called "lightning bolt" beltline distinguishes it from other minivans, its design details aren't sleek or slick enough to elevate it beyond the role of über-practical people mover. 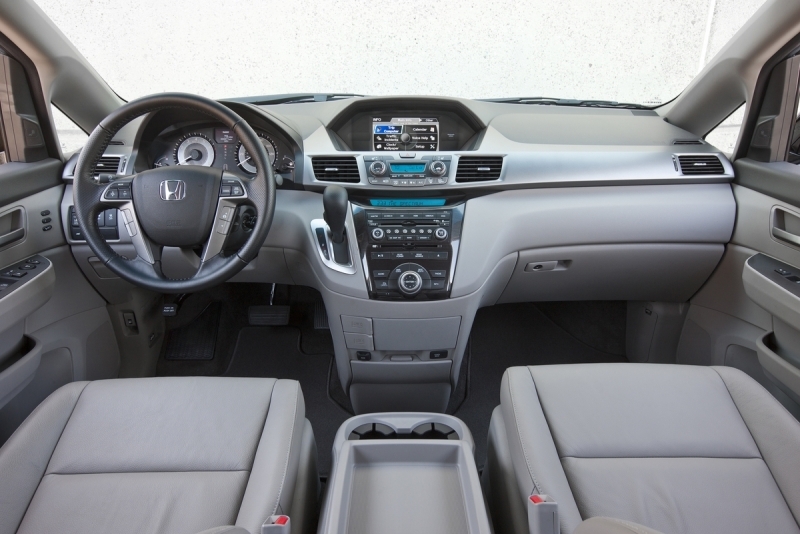 The view from behind the Odyssey's steering wheel is typical Honda, as is the feel when you click the dash-mounted shifter into gear; there's a sense of tactile balance to the experience, a familiarity that's evident in every vehicle Honda produces. Acceleration is more than sufficient for most stoplight launches, which feels a bit more spritely with the six-speed transmission found in the Touring and Touring Elite models. As evidenced by a day spent tackling the winding roads that connect La Jolla and northern San Diego County, handling is solid and predictable. An autocross course allowed us to toss our unsuspecting minivan through a tire-howling series of relatively large-scale turns. Though not quite agile or flickable, the Odyssey's at-limit handling proved balanced, even with stability control switched off. Perhaps most relevant to its intended audience, the Odyssey rides smoothly, with improved insulation that enables easier conversation across all three rows of seating. The Odyssey's 3.5 liter V-6 produces 248 horsepower and 250 lb-ft of torque and is mated to a five-speed automatic transmission in LX, EX and EX-L models. 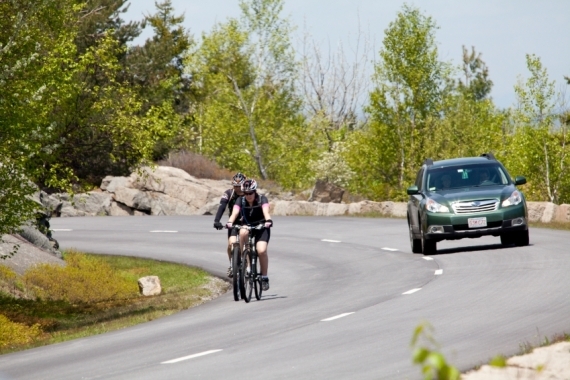 The top-level Touring and Touring Elite versions come equipped with a six-speed automatic. Mild tuning changes for 2011 yield a bump of four horsepower and between five and ten additional lb-ft of torque. Odyssey buyers are treated to road trip-friendly amenities like 15 cup holders, a rear climate control system and a new cool box beneath the dash. But the features don't end there: the rear "magic seats" still fold and hide handily into a storage space, but operation has been improved so the presto-chango maneuver can now be initiated with one hand. Middle row seating configurability has been improved, with lateral movement up to 1.5 inches on either side, and the middle seat moves forward for easier child seat access. The Odyssey's level of technology varies wildly depending on trim level. Available audio-visual systems now include a 15-gig hard disk audio system, as well as an ultrawide 16.2-inch screen on the Touring Elite model with split-screen capabilities and HDMI and RCA inputs. The optional navigation system includes features like available traffic and Zagat Survey information, and also available are safety aids such as a multi-view rear camera, a blind spot warning system and auto-leveling HID headlights. The Honda Odyssey's 3.5 liter, VTEC-equipped V-6 achieves best-in-class fuel economy, thanks in part to a variable displacement system that strategically switches off certain cylinders when power isn't needed. Five-speed Odyssey models are rated at 18 mpg city, 27 mpg highway, while six-speed models attain an estimated 19 mpg city, 28 mpg highway. The Odyssey's interior experience ranges from bare bones to well appointed, depending on which of the seven trim levels is selected. While the base model's cloth seats are nothing to write home about, the range-topping Touring Elite model boasts accommodating leather surfaces and a pleasantly trimmed cabin for up to eight passengers. Features like fold-down storage compartments and flip-up trash bag rings add convenience to day-to-day errands. All Odysseys boast new soft touch surfaces and copious storage possibilities, with 38.4 cubic feet of space behind the third-row seat, 93.1 behind the second (with the rear seats folded down) and an amazing 148.5 cubic feet behind the front seats. Restyled to accommodate greater interior volume, Odyssey's exterior still bears its familiar wedge-shaped nose, long midsection and tall tail. The silhouette has been spiced up with a "lightning bolt" character line toward the rear, and the feature offers the added benefit of improving visibility for third-row passengers. More slippery aerodynamics (along with low rolling resistance tires) aid the Odyssey's improved fuel economy figures, and while it won't be winning any beauty awards, this minivan's overall appearance successfully communicates the essence of its efficient functionality. 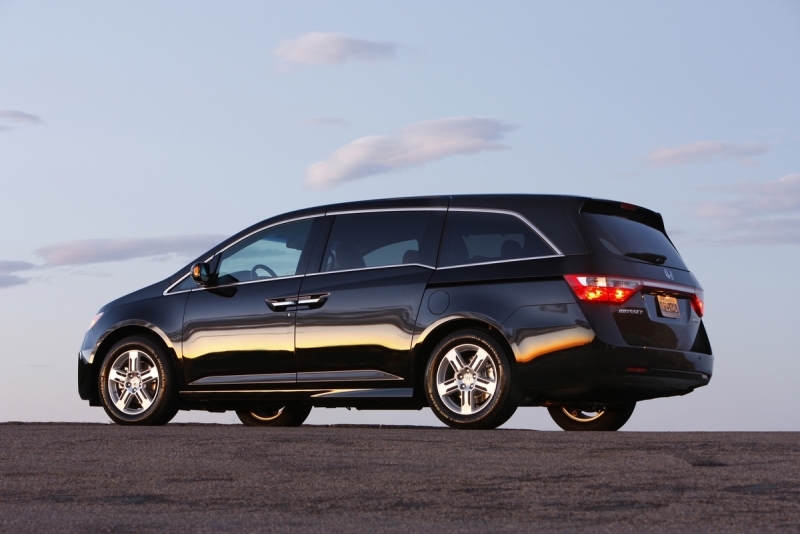 The 2011 Honda Odyssey starts at a relatively modest $27,800 for the LX model, but sticker prices creep into the thirty thousand dollar range, all the way up to an eye-opening $43,250 for the Touring Elite model. Though the Odyssey commands a premium over competitors like the Kia Sedona ($22,195), Toyota Sienna ($24,460) and Chrysler Town & Country ($26,300), this beloved brand's premium pricing is an aspect most buyers choose to simply accept. 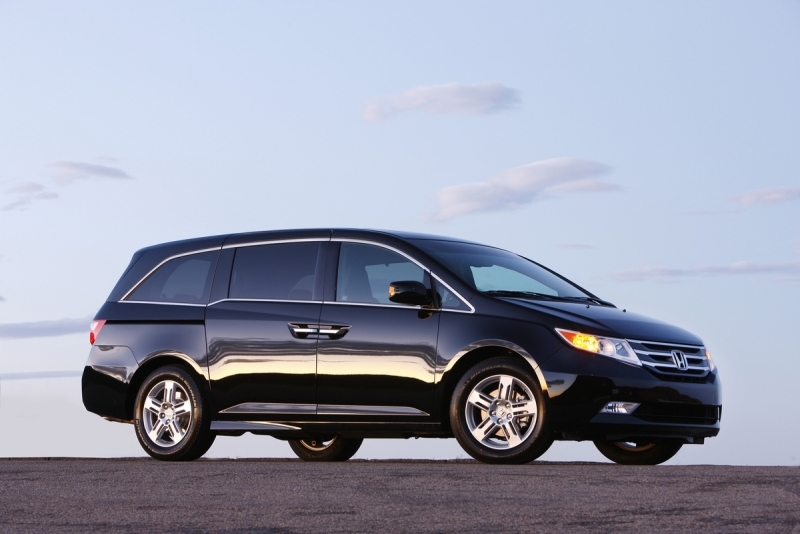 If you're onboard with the idea of driving a minivan, chances are you're already sold on the standard-setting Honda Odyssey. Its reputation for reliability is firmly established, and its numerous best-in-class attributes make it an attractive proposition. 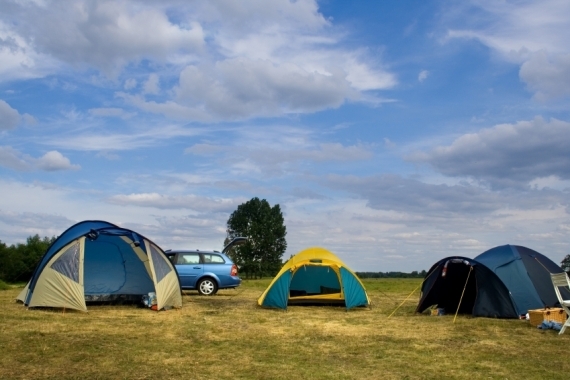 This year's added space, quieter ride and improved functionality make it the best Odyssey yet. If you're not the minivan sort, chances are you'll be attracted towards sleeker and smaller-sized alternatives like crossovers, SUVs or wagons. But if your needs are more expansive than those genres accommodate, we think it's hard to go wrong with the 2011 Honda Odyssey.